Locations on the Eco-Rapids Tour are on both sides of the border, in the sparsely populated taiga lands of Finland and Russia. Fishers on the Eco-Rapids Tour comply with a fishing culture that protects the natural fish population. This means trout and grayling are usually released back into the water to grow and breed. The Eco-Rapids are the only fishing locations in Finland reserved for fly-fishers where the minimum size for trout is 60 cm and 45 cm for grayling. Ecological fish management also entails regulating the number of people fishing. The rapids are tranquil since only one group at a time is allowed to fish there. Quotas and regulated fishing mean you have a good chance of catching over 60-cm trout and large grayling. Besides the ecological rapids, you can change fishing locations daily. There are stocked fish in ordinary locations. 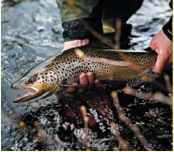 The package includes an opportunity to fish on several rivers that are a 10-25 minute drive away. An additional option is fly-fishing for pike on rivers and lakes in the area. The eco-rapids run through the forests. The water owner's house is on one bank of the rapids, otherwise the cottages, lean-tos and campfire places on the banks of the rapids are solely for fishers' use. Since the fishers' lodgings are either on the banks of the rapids or lakeside, you can fish throughout the white nights. 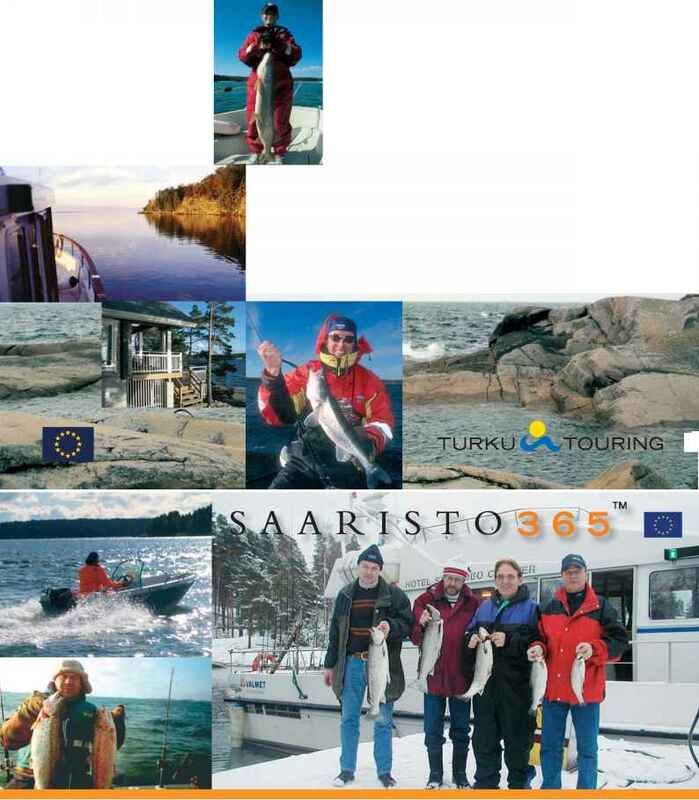 The fishing sites are about an hour's drive from Kajaani Airport. The rivers are 10-25 metres wide and can be fished wading from one bank. There are also brook fishing sites in the area. The rapids vary from slow flowing ones to stony, surging ones. The lengths of the rapid waters vary from 500 metres to several kilometres. The water is slightly coloured by humus. Fishing at several rivers in Finland. Trout and Grayling 30-60 cm. Well-equipped cabins by private rivers. In Russia we will travel by car 200 km from the border to a private river in the wilds. Trout usually 60-90 cm. Fixed tent camp with WC and sauna. Tents have beds, mattresses and wooden flooring. Intermediate tackle (class 3-7) is usually perfectly adequate. Rod length of 8'5' is a good average length. Floating line is sufficient as a rule. Wading trousers are recommended, wading boots will suffice during periods of low water. Large streamers are typical flies when fishing for sizeable trout in surging rapids. Caddis fly larvae and pupae are almost certain to result in catches of grayling and trout. When surface fly-fishing large adult caddis flies are often successful. Streamers, larvae and pupa work best in June-July, the surface fly-fishing season is July-September. Eco-Rapids Finnish 4, 6 (or 12 person) beach cottages fitted with at least a shower, some with electricity, inside WC, sauna, etc. (depending on location). Alternatively hotel accommodation 25-45 km from the rapids is available for larger groups. Package duration 24 hours to 1,5 weeks. The Eco-Rapids full-service fly-fishing tour includes 8 hours of guided fishing per day, private fishing rights in the Eco-Rapids waters and fishing licences for ordinary rapids in local waters, transfers from the airport (Kajaani), full board and accommodation. The tour is to one rapids or alternatively to several sites. The package can be tailored to wishes and additional activities, such as a one night's photography and viewing trip to see wild bears, can be included. Visit our website at www.wildtaiga.fi for examples of products. 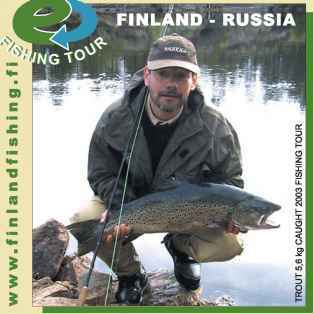 The Eco-Rapids tour can be combined with fishing in Finland and large trout rivers in Russia. WHAT REGION IS KAJAANI FINLAND IN?